It is hard to believe that we are now into June. Where did the Spring go? It seems that living in the Northeast, spring is now the “forgotten season” transitioning from a long and protracted winter into summer, which should be arriving any day now! With the advent of summer, it is time to dust off the patio furniture, open the pool and fire up the barbi. It is also the time to plan your outdoor expansion project for this season and beyond. We are IVY Studio, a landscape design and build consulting firm based in the greater Boston area and we specialize in residential outdoor expansion design and build projects. 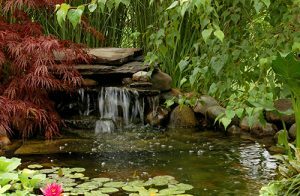 Our design professionals employ a three stepping stone proven strategy of planning, designing and implementing the outdoor oasis of your dreams. Sensitive and sensible, marrying function with form, bursting with creativity. Contact us at 781-591-0300 or vern@ivystudioMA.com to begin your journey from ordinary to extraordinary.